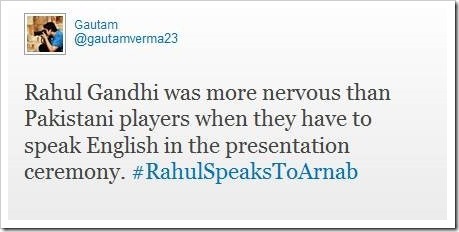 What Exactly Happened When Rahul Gandhi Spoke With Arnab Goswami? Times Now advertised this as the biggest political interview of the year; January 27, 2014 at exactly 9PM the nation waited with bated breath to hear and watch Rahul Gandhi, Congress Party’s (yet unconfirmed) Prime Ministerial candidate, faced Arnab Goswami, who is notorious for taking down politicians and celebrities via his cut throat questions and that piercing eyes. 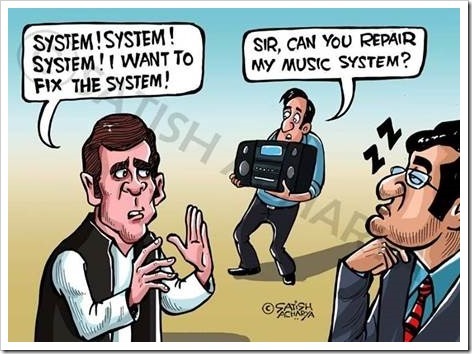 It was an interview which was hugely anticipated by Indians from all over country; men, women and children stocked their pop-corns and dinner and cold drink and waited for Rahul to speak up. 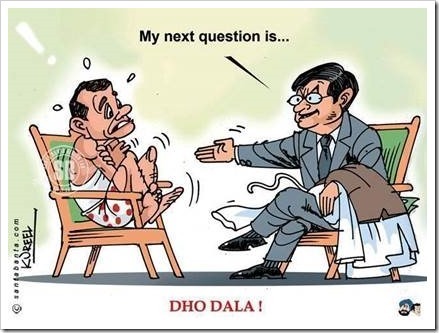 After all, it was his first full fledged interview in 10 years since he became a Member of Parliament from Amethi in the year 2004. But what happened in the next 80 minutes at Times Now studio can be best described as damp squib (to put it mildly). This is what many think really happened! 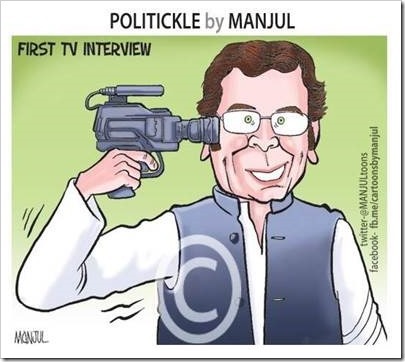 Rahul Gandhi was completely at unease, uncomfortable and not quite a leader while answering Arnab’s questions. The way his eyes were rolling and sweats were shining on this forehead during the interview implied something like a student encountering questions out of syllabus. His answers were unconvincing, totally out of context and irrelevant. Viewers were disappointed and shattered – Is he capable of governing India? During the entire interview, he repeatedly uttered words like RTI, Women Empowerment and System, without any reference to the questions asked. When Arnab asked him about Gujarat riots, his answer was we need women empowerment! 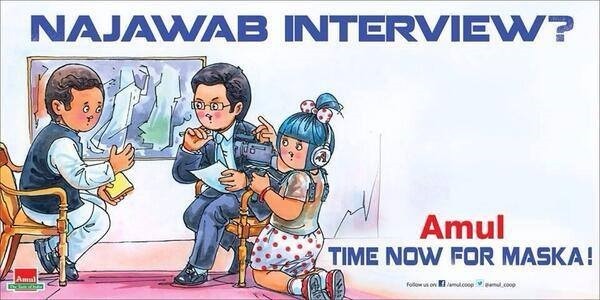 The entire social media erupted with wits and sarcastic remarks about this interview, as some netizens compared this to Comedy Night with Kapil and case of child molestation by Arnab. If you want to have an idea about the anti-hype and witty dialogues generated by this interview, all you need to do is search for hashtag: #RahulSpeakstoArnab on Twitter. The tweets and the jokes are not stopping even 3 days after the interview. 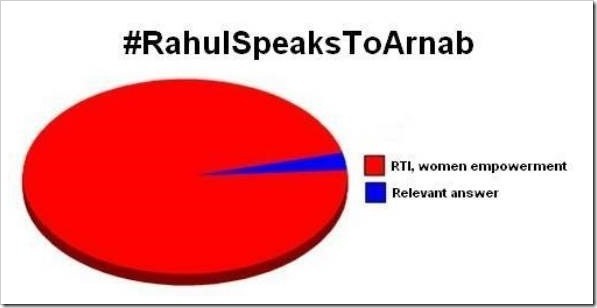 Here is a graph someone created showing how many relevant answers Rahul gave to Arnab during the interview. Note:We are not here to judge a person’s oratory skills or his way of handling questions by a journalist; but we are here to share what actually happened when a PM candidate from the country’s oldest political party decided to give his first interview. Your views and criticisms are welcomed. 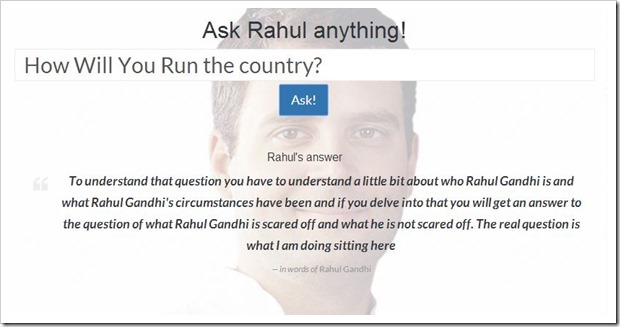 "What Exactly Happened When Rahul Gandhi Spoke With Arnab Goswami? ", 5 out of 5 based on 1 ratings.